Technology changes quickly. People change slowly. The rate of technology change often outpaces our ability to understand it. It has caused a gap between what’s possible and what’s legal. For example, facial recognition seems to be starting to show up all around us — that’s what’s possible. But what’s legal? The overarching questions are: What do we really want from these technologies? What kind of future do we want to live in? 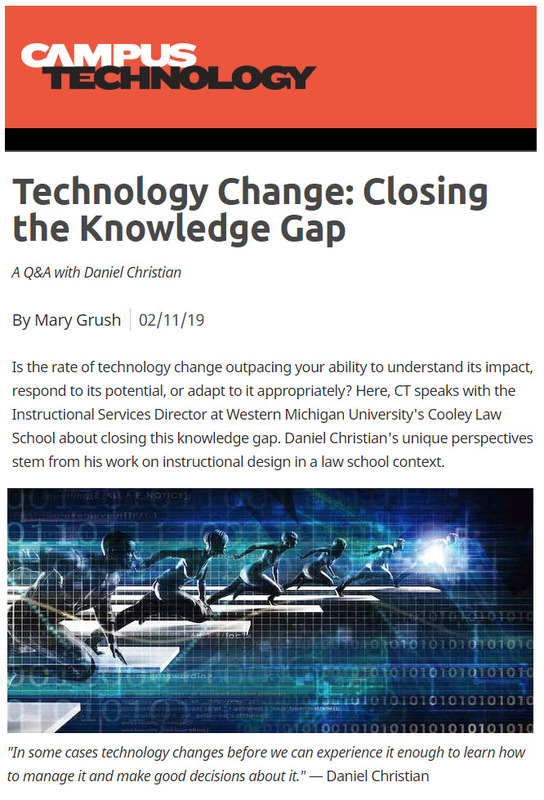 Those law schools that expand their understanding of emerging technologies and lead the field in the exploration of related legal issues will achieve greater national prominence.